Good Friday doesn’t seem very good at all—at least at first glance. After all, it is the day on the Church calendar that keeps the death of Jesus Christ at the center of contemplation. It is a solemn day; and a day of fasting and quiet suffering for many Christians. One might wonder how such a day could be called good when it holds what Dr. Peter Kreeft calls the worst sin ever committed—”Deicide” or “the murder of God”—at its focal point. But Good Friday is indeed good. Very good. It re-presents that Friday two thousand years ago when God in the flesh suffered and died once and for all mankind, thereby showing “His great love for man, and purchasing for him every blessing” as the classic Baltimore Catechism puts so succinctly. Then God bowed His head and gave up His spirit. That’s what we have chosen to believe and profess as Christians. In fact, we must believe that Christ gave up His spirit—that He really died on the cross—because our faith is founded on the crucifixion of Christ; for if God’s death on a cross is not a true event in history then our faith suffers the incredible possibility of being a great delusion. St. Paul addresses the necessity of Christ’s actual death indirectly. He writes that if Christ has not been raised then our faith is futile; then it is vain religion (1 Cor 15:13-17). But in order to have a resurrection of the body there must be a bodily death preceding it. If there was no death, then there was no resurrection; and for the Christian, if there was no resurrection then we are still in our sins—a horrifying proposal indeed. One might be tempted to wonder whether the crucifixion really happened. Such critical thinking is good, if one is heeding St. Paul’s call to “test everything” so that that he might hold to what is good (1 Thess 5:21). But when the testing is done, an honest assessment will conclude that Jesus did die on the cross as a result of the crucifixion and tortures that led up to it. As the highly critical New Testament scholar, John Dominic Crossan, affirms “that [Jesus] was crucified is as sure as anything historical can ever be” in his Jesus: A Revolutionary Biography. Furthermore, the Gospels attest to His crucifixion unanimously; and they contribute to the case for the crucifixion as early historical works compiled by early eyewitnesses or companions of eyewitnesses (John, especially). The Gospels are highly reliable historical sources. As if the testimony of the Gospels and other New Testament writings were not enough, non-Christian writers also give testimony to Christ’s crucifixion. In the first century, Josephus. In the second century, Tacitus, Lucian of Samosata and the Jewish Talmud. In the 3rd century (or earlier) a letter from Mara Bar-Serapion mentions the death of Jesus in a letter to his son, although he does not specify the mode of execution. Nonetheless, we have very early testimony of Christ’s crucifixion from Christian and non-Christian sources. This is the type of historical affirmation that professional historians drool over. Remember, though, that Jesus was not only crucified. He was also scourged. That doubles the trauma. In the late 20th century, a team of medical experts set out to define the physiological nature of Jesus’ scourging and crucifixion. Published in the Journal of the American Medical Association, their descriptions and conclusions leave no room for Jesus’ survival or apparent death. So even prior to his unfathomably burdensome journey to Calvary, Jesus was already likely dying or nearly dying from the effects of shock, dehydration, and blood loss. Then they handed him His cross. Modern studies of the Shroud of Turin have generated excited anticipation among the research community and the faithful (including Pope Francis, who has an scientific background in chemistry). More and more, the evidence seems to be stacking up in favor of the Shroud’s authenticity as the actual burial cloth of Jesus Christ. 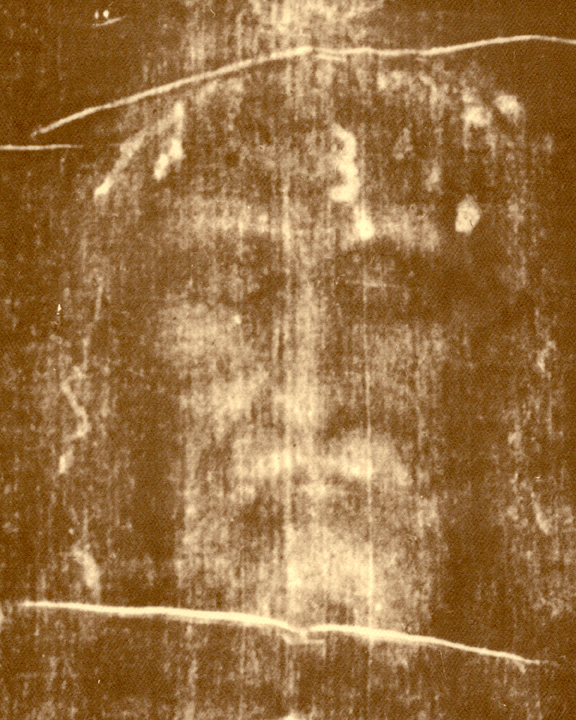 In addition to its religious implications, the Shroud also provides unique historical information as to the nature of a 1st century death by crucifixion. Research done by blood chemists on the linen Shroud have concluded that the distinct red colour of the blood is indicative of a victim who had gone into shock as the result of blood loss and dehydration. “Old” blood usually dries in the colour of brown or black. However, if the cause of blood loss is caused by an extremely intense beating, as is indicated by the Shroud, the blood maintains its red colour (even centuries later) because of the abnormal production of a substance called bilirubin, which the liver produces at high amounts when shock sets in. According to Barry Schwortz, a former skeptic who is now a leading Shroud researcher and advocate, studies of the burial cloth suggest severe bodily trauma: swollen eyes, extensive bodily wounds indicating a severe scourging in the front and back of the body, a spear wound in the side, and wounds covering the head and scalp that could be the result of a thorn bush thrashing over the head (not just a “neatly placed” crown as is commonly portrayed). 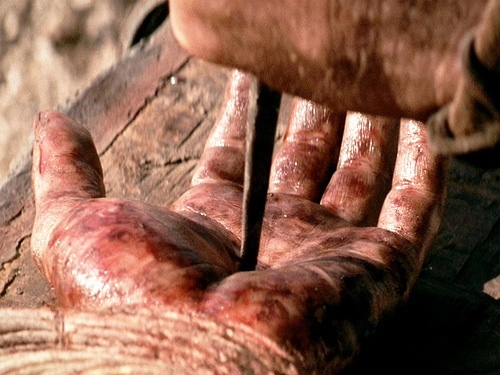 The nail wounds to his feet are not distinct on the linen but the clear wound from the back of one of the hands shows that a nail was driven through his hand close to the wrist. The nerve that would be punctured by the nail in the wrist area is the median nerve—the same nerve which causes the excruciating symptoms of carpal tunnel syndrome. 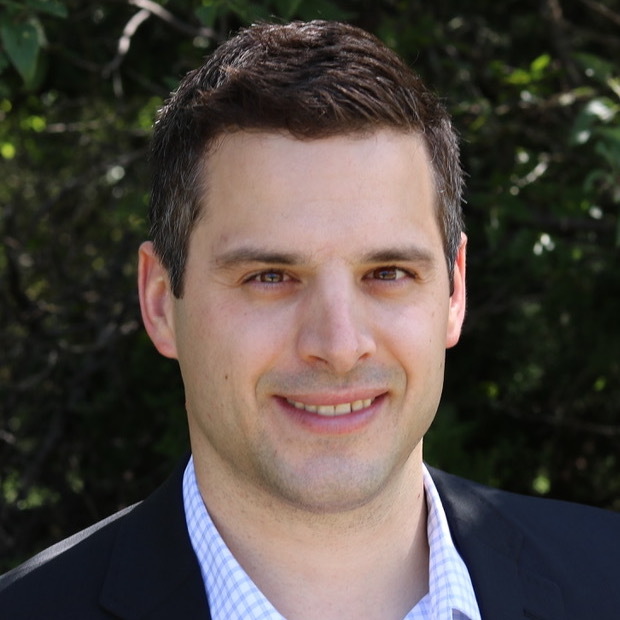 To put this elicited agony into perspective, Dr. Alex Metherell describes the pain from a nail ripping through the median nerve, like in Jesus’ crucifixion, as comparable to having pliers crush the nerve that causes the “funny bone” sensation. Jesus was crucified. But what was crucifixion really like? Tacitus called crucifixion the “extreme penalty.” Cicero called it “the most horrendous torture” and, in fact, wrote that the word ‘cross’ which represents crucifixion should be eliminated from all mention due to its gruesome implications (Pro Rabirio, 9-17). Crucifixion was thus understood by the masses to be the most cruel form of torture and execution. Once on the cross, raised above the dwindling crowd, Jesus’ breathing would have begun to labour even more profusely. The position of His tired, outstretched arms made it impossible to adequately inhale oxygen and exhale carbon dioxide. The only way to change this was to raise the chest’s position in relation to the arms, by straightening the legs and pushing off the nail-fastened feet. Eventually, however, the legs would be depleted of all strength as severe muscle cramps and spasms overpowered the body and lead to unrecoverable fatigue. As a result, asphyxiation would occur. This was, as the medical researchers confirm, the most common cause of death in crucifixion. By breaking the legs of the victims, death by asphyxiation could be accelerated as it prevented the victim from pushing himself into a better position to breathe. The already deceased Jesus, however, was pierced by a lance in the side; not a bone was broken. John records that blood and water flowed from the wound (Jn 19:34). This particular detail in the Gospel of John has deep theological significance; but it also gives us forensic insight into his total bodily trauma. From a medical perspective, this rushing of blood and water from a chest wound may be the result of a ruptured pericardium, the sac surrounding the heart, and the rupture of the right ventricle of the heart. This method of ensuring death of a crucified victim was attested to by first century Roman author, Quintilian. Concluding with the researchers mentioned above, there was no possibility of survival or apparent death according to modern medical knowledge. Jesus certainly died. Thus, Good Friday is good because it commemorates the day when God saved man by “becoming all things to all men” through a means every human being can relate—through suffering. It is the day we give thanks to our Lord and Saviour, Jesus Christ, who suffered and died perfectly two thousand years ago in Jerusalem, so that we wouldn’t have to. Good Friday is so good.